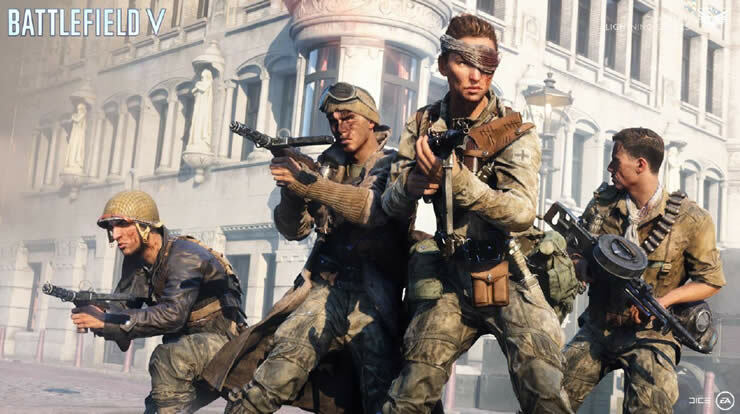 Electronic Arts und DICE haben ein neues Update zu Battlefield 5 veröffentlicht. Mit dem Update erscheint also Battlefield 5 Patch 1.09, Lightning Strike Update 3. Dies ist ein sehr großes Update, das die dritte Woche des Lightning Strike Events, das derzeit in Battlefield 5 stattfindet, weiterführen wird. Es enthält außerdem viele Fehlerbehebungen, Balance-Anpassungen und andere Änderungen an den Spielmechaniken. Added a new system that will ensure consistency between TTK (Time to Kill) and TTD (Time to Death) regardless of the network performance issues (high latency, jitter, packet loss, etc.) encountered by players. With this change, the damage sequence from first bullet to last bullet hit will always properly be paced over time and will avoid bundling of damage (super-bullets). Reduced the maximum distance at which a player is allowed to deploy a Spawn Beacon to 1,35m instead of 2m to reduce conflicts with obstacles between the player and the "potential Spawn Beacon".